Thanks to Nancy I've discovered your blog. I'll be back to check you out again in the near future. Thanks for the chance to win Nancy's book. It looks amazing. I added your blog to my list to follow. saw your book at a local quilt store and was very impressed with your quilts! My brain wants to piece horizontally so using columns would be an interesting challenge. I like the large section of negative space next to the smaller chevron section of your quilt top. It's a cool look. Love your fabric choices for this quilt, the Peppered Cotton really adds zing to the patterned fabrics. Just finished my first quilt top w a dark gray as my background and love it. Looking forward to making plenty more - especially with inspiration from this book. Your quilt is beautiful, thanks for the giveaway. I love the Any Butler fabrics you picked . . . great visual quilt! 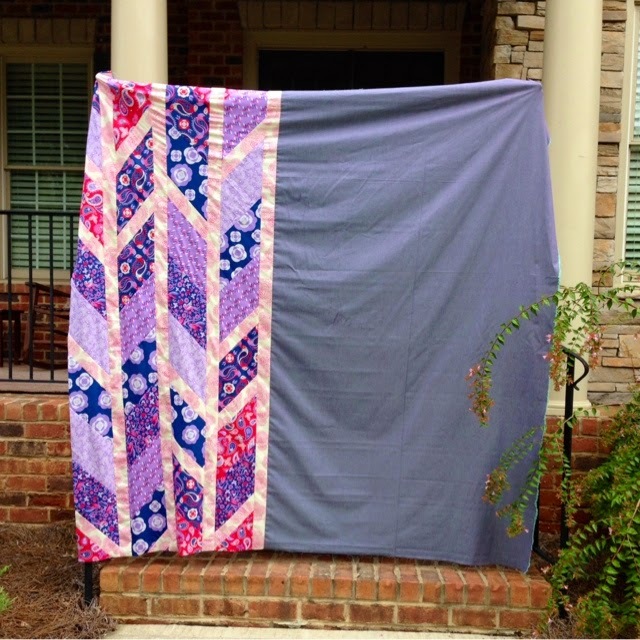 Great idea for quick quilts. I'd like to win a copy of Nancy's book. I will have to try thinking vertically on my next quilt!! Great quilts! Thanks for the chance to win! I love the Chevron quilt!! Yours is way cool too! Is on my Gotta Make List already...and the book is on my Wish List! lol Would love to win it! You just inspired me to start a column quilt. I think I'll start simple with squares of fabrics from Sierra Leone. Fabulous chevron quilt! I seriously need to try this peppered cotton fabric - love the look. Never done a row quilt, but a great concept for my next quilt. Thanks so much! 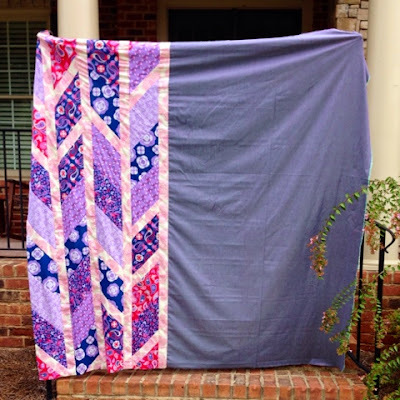 I love your take on the Chevron quilt! This looks like a book with lots of great ideas. I love quick, especially when there isn't much time for sewing. Thanks for the chance for the book. Like others I never knew about your blog until today. 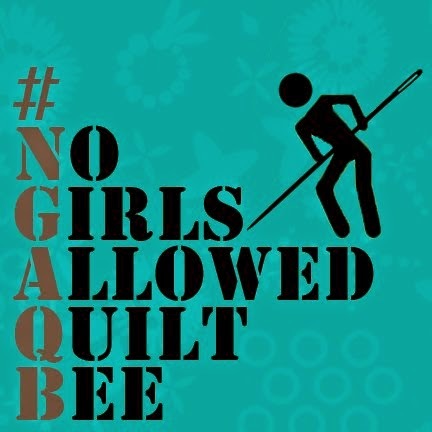 I love your quilt and fabric choices you used inspired from Nancy's new book. I really enjoyed your story and browsing your blog. You have some lovely projects. This look a great book. Thanks for sharing your quilt. Your colors are especially interesting. I love instant gratification. 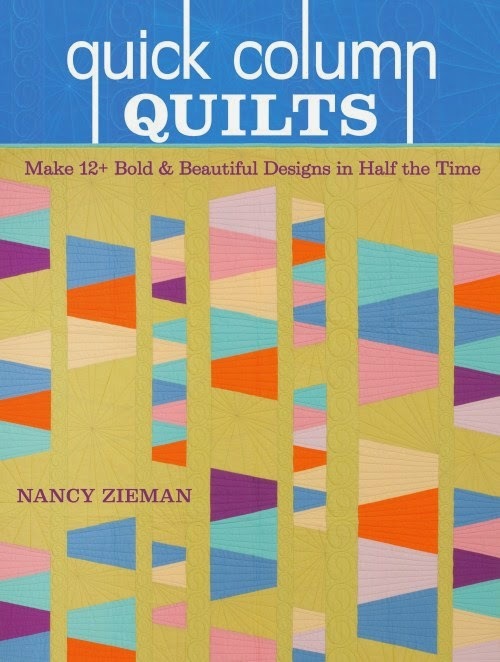 I looks like the quilts in this book are fairly quick- so instantly gratifying! You had me at Nancy Zieman. Sign me up for the drawing. I love your quilt top. Having half be solid really lets the pattern stand out. And perfect colours!! I wonder if columnal thinking is a right brain/left brain thing?!! To think in columns is a new concept for me, although I have seen many antique quilts made in columns. 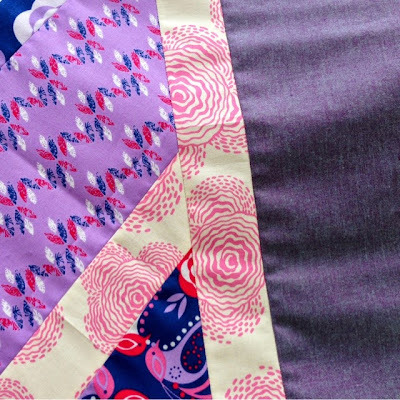 Just when I've fallen in love with your neutrals quilts, you toss in a purple one--and I really like it! Love your work! 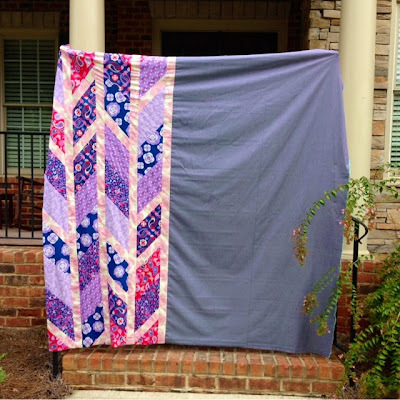 Love your take on Nancy's quilt…and the color. Thanks for sharing! I have been inspired by Nancy Zieman's books and tutorials for years, and I'm excited to see her newest book. Love your version in purples. 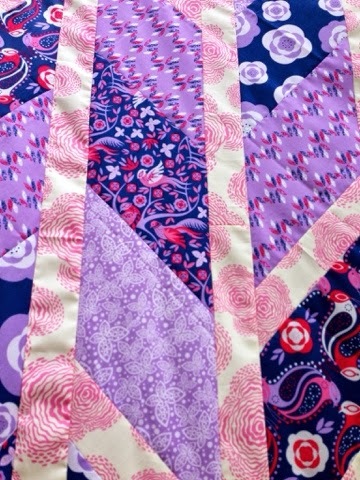 Love your quilt colors! 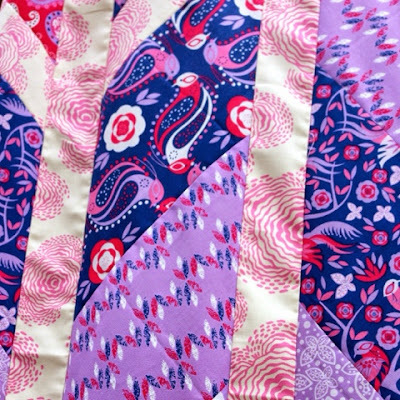 I haven't tried a column quilt but now I think I'll try. Just started quilting diamonds. Love this! I will be interested to see how this quilt looks finished. I like shopping from my stash too! I'm a first-time visitor, I found you by following Nancy's blog tour and have had fun going through your posts and tutorials. You're def going on my blog list! I love the fabric you used for your Happy Go Lucky. 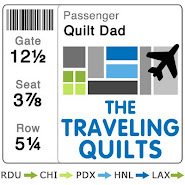 Love your quilts, enjoyed your book tour and now this one. Thanks. Hello- I really 'get' the column vs row thing, too. Didn't realize it til i read your blog, though. The Happy Go Lucky Chevron is my favorite... but your use of stash really inspires me as I do have some small amounts of special fabrics that could be used this way. Thanks for showing me the way, and this chance! This is an awesome fresh approach. Thanks! I really love this! I think this is one of the best patterns in the book and lends itself to so many interpretations. You did awesome - as usual!